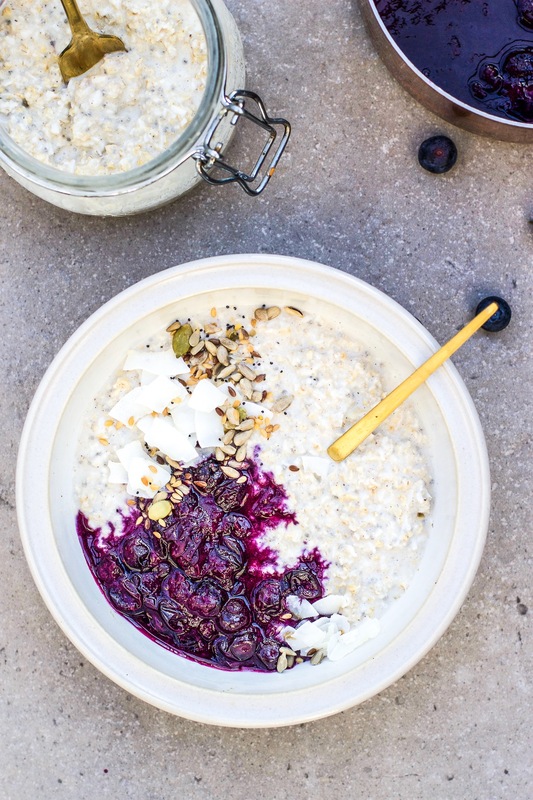 These coconut overnight oats are super quick to prep and so delicious- you can serve them around the table or straight out of the jar at your desk. If I’m at home I’ll elevate it with some stewed blueberries and seeds, if you’re on the go all you’ll need is a spoon- both ways are good! 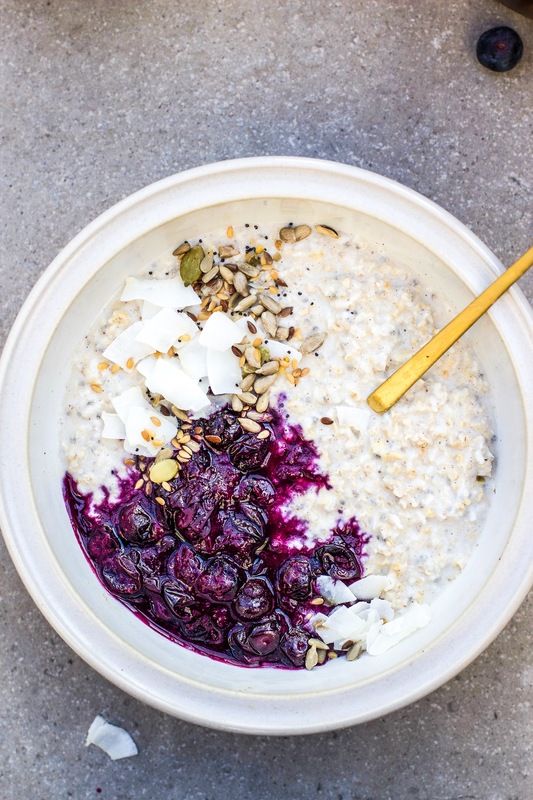 Add the oats, desiccated coconut and chia seeds to a large bowl and mix well. Then mix in the vanilla powder. Whisk together the coconut milk, nut milk and maple syrup. Pour the wet ingredients into the dry while mixing. Transfer the mixture into a large jar, or individual serving containers and refrigerate overnight or for minimum 3 hours. Serve the next day or up to 3 days later, with a dash more nut milk to moisten. If you want to it can also be heated. To make the stewed blueberry topping just add a punnet of berries to a saucepan with a tablespoon or two of water (and some maple syrup/honey if you want it sweeter) and simmer for about 3 minutes, then mash with a fork. Hi Indy, I can’t seem to find vanilla powder in the health shops around. Can you recommend where online I can buy? Hi there would regular milk work along with the coconut milk, as a replacement for the nut milk?